Mission:Trickster Art Gallery increases the visibility and impact of contemporary cultural arts and education through: all arts media, music, Veterans, fatherhood and social justice issues to advance these programs. Vision statement: To be an authentic first voice of Native American and cultural arts. The name “Trickster” carries profound meaning in many cultures. We have selected our organizational name to be welcoming to ALL cultures. In Indian culture, a “Trickster” is a spiritual in nature “cultural educator”. The “Trickster” teaches life-principles. At times, he even works through levity and jokes. Today, however, the “Trickster” wishes us to learn just one truth: namely, the impact that a cultural first voice, both Native and non-Native, has had in shaping our mutual cultures. The Trickster Art Gallery (TAG) is a 501C3 Not for profit organization in good standing in the State of Illinois, teaches dramatically the culture of modern American Indians. Contemporary American Indian art becomes the medium bringing the American Indian culture to life, using present-day artistic venues. But TAG provides much more. TAG is multi-cultural. TAG highlights cultural voice contributions of other-Americans as well those of American Indians. Through rotating exhibits of paintings, sculpture, pottery, cultural workshops on dance and music and other visual media, TAG creates mutual cultural awareness through an artistic exchange. Two points are critical. First, multi-cultural visitors, Trickster has reached more than 22,000 in 2014, coming to TAG you will share engage in a “cultural voice” presentation on American Indians directly from American Indians. A “Hollywood Version” covering 5,000 years of American Indians on our continent needs updating with “true” facts. Secondly, TAG offers American Indian artists and their families a professional space that they can step out onto and unabashedly share their life with other-Americans to help tell the untold stories. In a very unique way, TAG affords the American Indian community an opportunity to tell its story in an authentic “cultural-voice” fashion. Over the years, TAG’s evolved from an art gallery focused on strictly traditional art to a place providing extensive artistic venues. 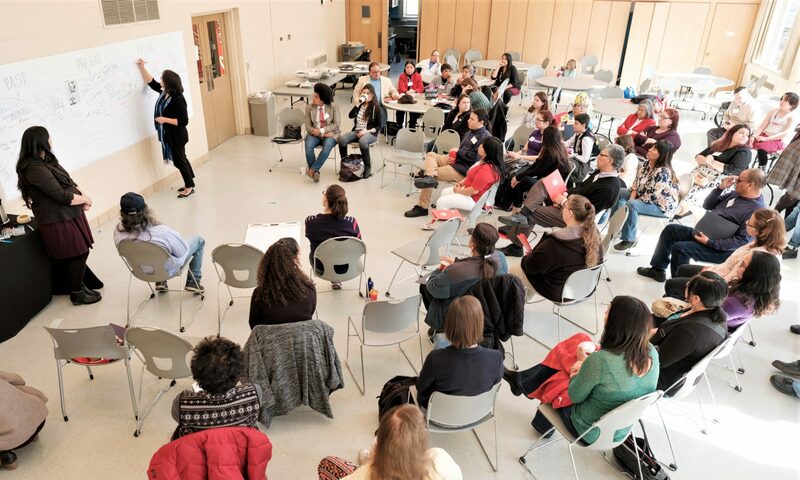 TAG has expanded to include workshops, “Artists Talk,” Native music and dance, American Indian Veterans’ displays, poetry slams, art exchanges with the Field Museum, Chicago Historical Museum and Smithsonian Institute – National Museum of American Indian in DC. In addition, TAG hosts a unique Library of Native authored books, farmers’ markets highlighting Indian medicinal herbs, an American Indian Veteran exhibit and services “Wall of Honor exhibit”, child-friendly programs tours, and travelling programs for elementary grades, high school, colleges and other museums. School and private tours of our unique live exhibit “Walking through Native Lands” Take a journey walking through a 25sq ft hand painted map of the USA when it was all Tribal lands. 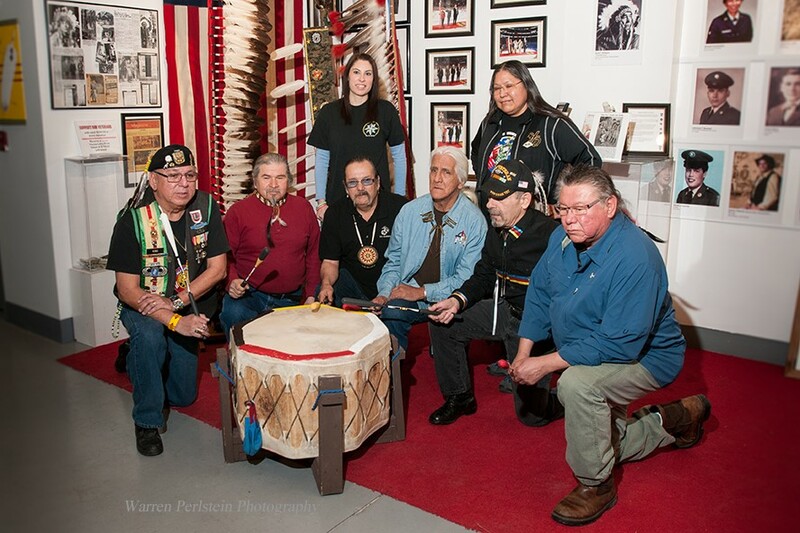 Native Veteran exhibit “Wall of Honor” with videos of history, creation stories and ties to the Chicago Blackhawks with “Native Veterans on the ice” during the national anthem. Plus and amazing Library full of Native authored books, a gift shop of authentic cultural arts and crafts. New artist rotate quarterly in our exhibit spaces, and always adding new and unique items to our gift shop. Cultural sessions by Native artists who come to the Gallery to present and explain their paintings, sculptures, and “hands-on” regalia, clothing and tools. Also for other-American artists, TAG offers space for art exhibits, visual arts, poetry slams, and the “spoken word” workshops. For the American Indians themselves, TAG affords not only professional exhibit space but a gift-shop where they can sell their art. Also, TAG has become a place for American Indian music, with the drums, the flute, the guitar played today as in the past. For school children, TAG offers many items: hands-on exhibits, native games, age-appropriate art activities, a library, native music and dance, a tee-pee, the large map on the floor with Indian nations and tribes depicted as they were in the early 1800s, and white board walls for drawing on. Finally TAG makes speaking presentations at schools, parents groups, business clubs, the Schaumburg Garden Club, and other places. TAG hopes that you will soon be a visitor and experienced a friendly environment at TAG–one full of “surprises” for you. If you walk away saying, “Wow, I really enjoyed that; I learned a lot,” we’re happy. We thank you for your openness in coming to TAG. Hopefully, we’ve shared with you in a meaningful way the American Indian culture especially through today’s Native artists. And, finally, and most importantly, we hope that we’ve shown how our overall heritage in our country is a multi-cultural blend of other-American and American Indian artistic traditions. We need you to join our team. Orientation and training is provided at all levels. Volunteer and college internships available year round. Learn first-hand about our culture and arts. Register online at: www.trickstergallery.com and don’t forget to make a tax deductible donation while on our site!